Three weeks is an ideal window of time and opportunity to improve your game and accomplish your goals of becoming a better basketball player. BSC is a unique, intensive camp experience that blends a 24/7 basketball mindset with hands-on instruction and extra help sessions for highly motivated players who seek to excel. 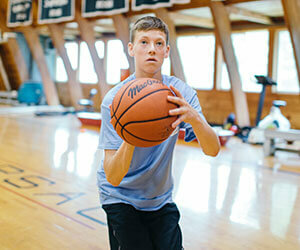 Bridgton Sports Camp offers a top-notch basketball curriculum for players of all levels of experience with the game. 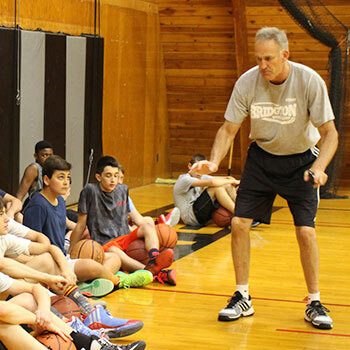 Whether you are looking to improve your shooting mechanics or become more explosive in the open court, this fun and intense three-week program provides exactly the tools any young player needs. With the help of BSC’s dedicated and enthusiastic coaches, campers will learn important fundamentals during daily “major” periods, and get plenty of in-game experience through both an intramural league and scheduled games against other camps in the surrounding area. 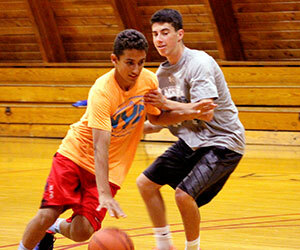 Campers will experience drills and workouts that come straight from Division-1 college practices. Whit Lesure has been with Bridgton Academy since 1997. He is currently teaching U.S. History and Political Science, and he is the head coach of the Wolverine basketball team and basketball director of Bridgton Sports Camp. Prior to coming to Bridgton, Whit was an assistant basketball coach at the University of New Hampshire for five years, and teacher/coach at New Hampton School. Whit received his BA from Hobart College and has completed graduate work at UNH and the University of Phoenix. Whit and his wife, Mary Beth, live in Bridgton with their three children. 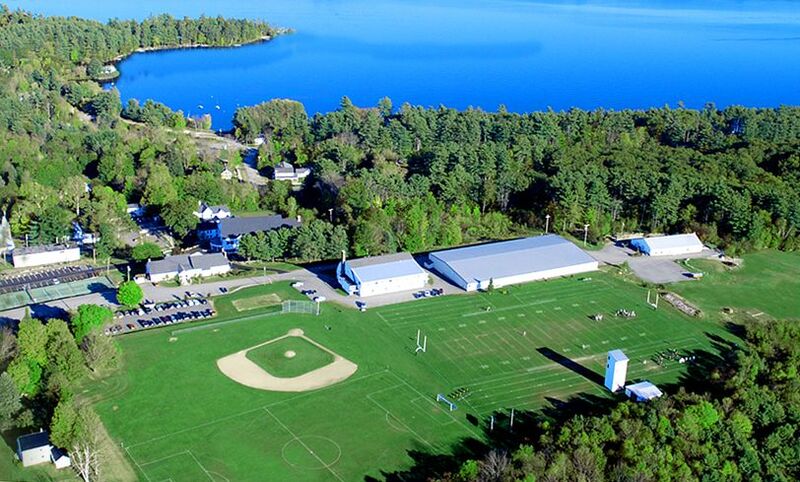 The basketball facility at Bridgton Sports Camp is loaded with character and has hosted some of the country’s best prep school talent during the winter season. Our gym is the perfect place for committed campers to expand their passion for the game, whether it’s with our coaches during a basketball period, during an organized game or just having fun on the court for a pickup game.